One of my favorite things to do on a Saturday or Sunday morning is tip-toe out of bed without waking Tres and have breakfast made for him before he gets up. I make my coffee, pull out whatever ingredients I picked up from the market during the week, and create something with whatever I have on hand. I never turn on the TV or listen to the radio. I just simply enjoy the silence I have in the kitchen. It's so relaxing. I did this very thing yesterday and loved the recipe I made so I wanted to share it with you. 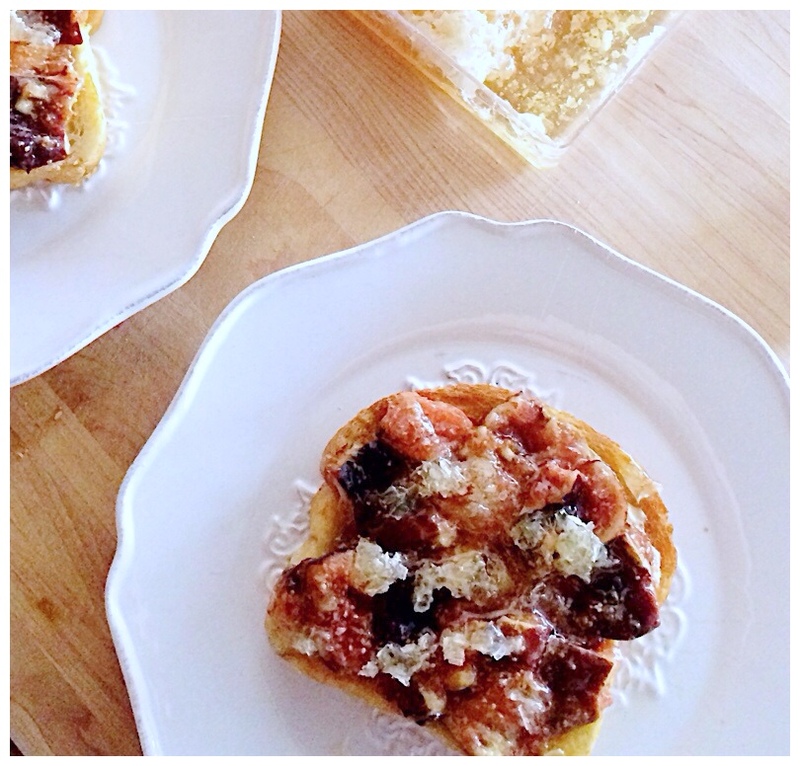 We've all heard of Avocado Toast but for a much "sweeter" version, try Fig Toast! 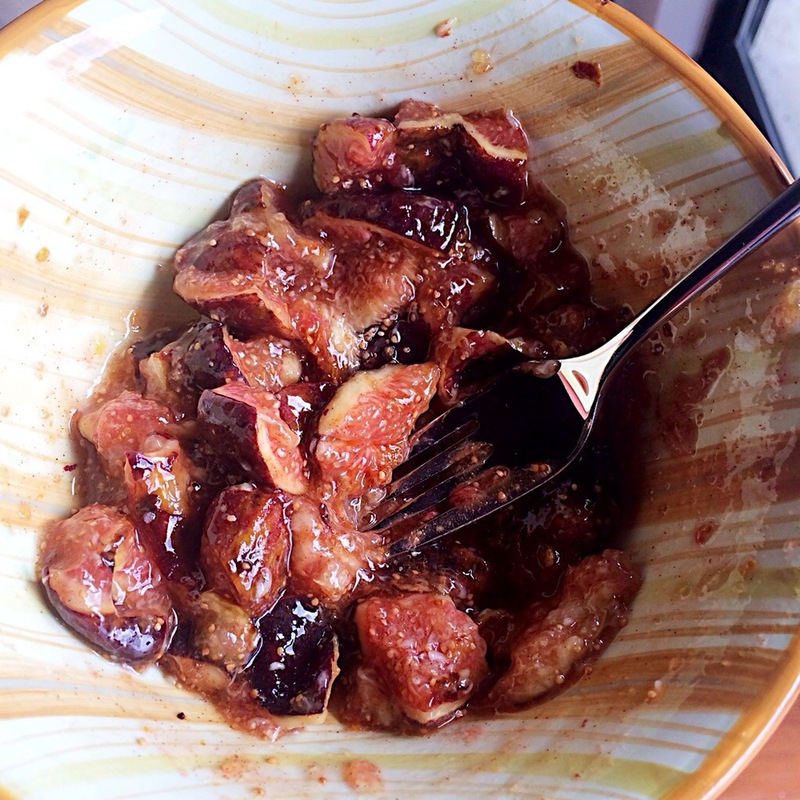 With a fork, smash the figs together in a bowl with the honey, cinnamon, and salt. Spread the mixture thickly and evenly over the bread. Slice and crumble the honeycomb over top of the mixture. If you don't have honeycomb, no problem! Just drizzle a little more honey over the top. 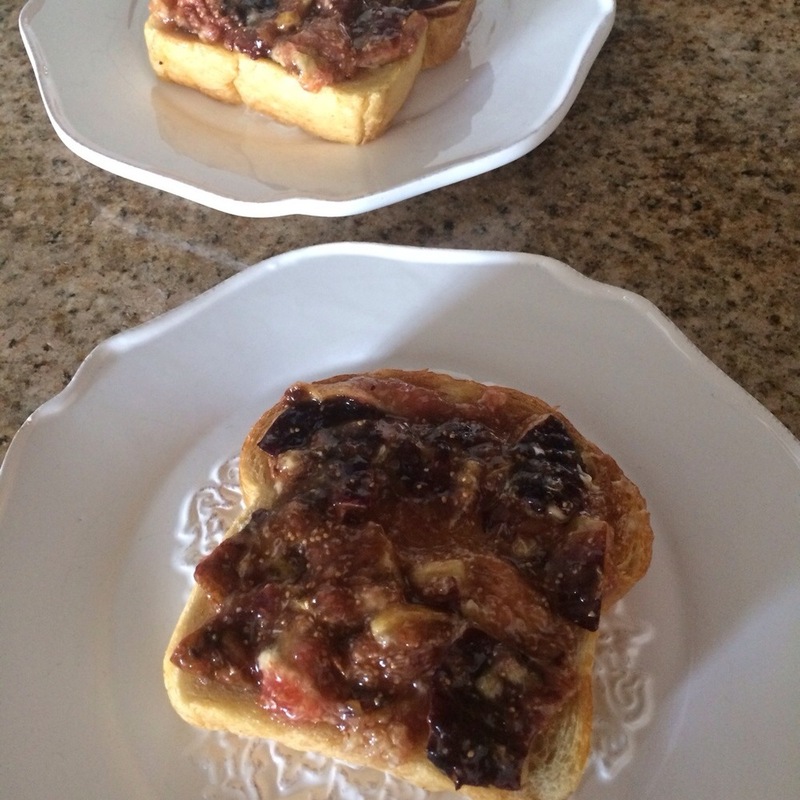 Drizzle the toast with balsamic.